While the arrogance and moral bankruptcy behind political correctness will eventually lead to its own destruction, the current emerging generation of social engineers are becoming a serious danger to those who publicly proclaim basic Christian truths. Jesus demands, however, that we speak the truth, and courageously. 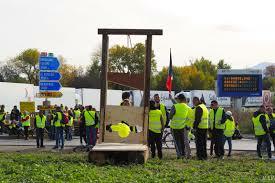 “Cut off the king’s head” is a common chant heard by the weekly protesters in France, squarely aimed at President Macron. In the same vision as the five beasts, recorded in Scivias, Book III, Vision 11, Chapters 25-42†, the Doctor of the Church shares what was revealed to her about the Antichrist and offers clues to Christians during the last days on how to identify him. 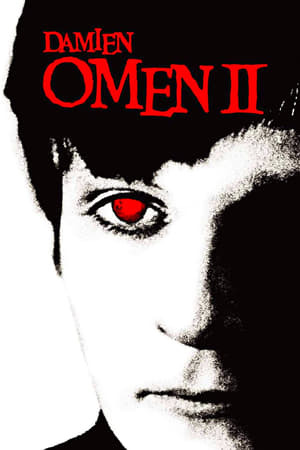 She starts with the mother of the Antichrist, who begins learning “the arts of the Devil” in her infancy. We are told that she grows up apart from her family, and in the care of “abominable people” living in the “vilest of waste places”. As she matures her parents do not recognize her, nor even the people who raised her. At some point, we are not told what specific age, she will be visited by the Devil in the guise of an angel. She will depart from her community and seclude herself under the guidance of this angel from hell (chap. 25). The mandatory tax on Catholics collected by the state and forwarded to Church authorities (minus a commission) has become a tax like any other tax, nasty things happen if you don’t pay. It’s a vestige from earlier centuries when the German state was a Christian institution and insisted on bearing the responsibility for the custodial needs of the Church. 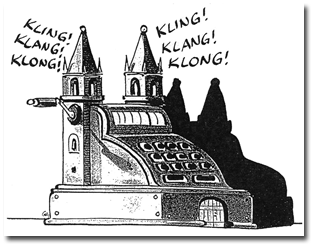 But now this concept of tithing has evolved into the antithesis of that which is taught in the Bible and is destroying the Catholic Church in Germany. Since hundreds of thousands of German Catholics have opted out of the tax in recent years, the German Bishop’s Conference instituted a formal directive that you have to pay to play: no tax, no Sacraments. So the vast majority of Catholics remain on the rolls, even if they are non-practicing (about 90%). It’s understandable why they choose not to, opting out means acknowledging in writing with a signature that you are not a member of the Roman Catholic Church, something I would not be inclined to do. A gun is being held to your head. When he heard that Mel was making a movie on the Passion of Christ, the late Catholic forensic pathologist Frederick Zugibe, an expert on Jesus’ crucifixion as well as the Shroud of Turin, offered his services as a consultant. Curiously, Gibson declined. One would think that if you’re producing a film on the crucifixion of Jesus you might want to take advantage of the expertise of a world’s authority on the subject. In The Crucifixion of Jesus: A Forensic Inquiry, the Doctor responds with a less than glowing review of Gibson’s film, finding numerous inaccuracies. A glance at a couple of them uncovers what Gibson might have been grappling with while producing the film. 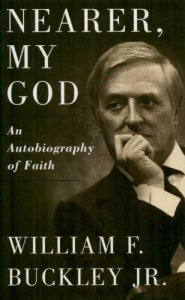 Twenty years ago Buckley wrote Nearer, My God: An Autobiography of Faith, sharing his personal thoughts and experiences as a life-long Catholic. Writing in his typical high-brow conversational manner, you might feel as though you were sitting next to him on the panel of Firing Line. And indeed there is a panel; he structured his essays around answers to questions he had posed to his unique “Forum”, a group of intellectuals that had come to the Catholic faith as adults. His insights and outlooks remain relevant and valuable today. The Promise that Israel Will be Saved. I befriended a number of young native Israelis when I lived in the country and was surprised at their indifference upon hearing that I was a Christian. They seemed equally apathetic about Judaism. It was their ethnicity as Jews and connection to the land of Israel as their national homeland that unified them. A valuable study appeared in the Journal of the American Medical Association in 1986 (Volume 256) entitled “On the Physical Death of Jesus”. The authors included a Pathologist, an expert in Medical Graphics from the Mayo Clinic, and an Evangelical minister. It begins with a historical analysis of crucifixion as a form of execution and moves to the physiology of Jesus’ suffering and death. Jesus did not carry the whole cross but just the crossbar (patibulum). The whole cross would have weighed about 300 lbs. The sign that Pilate had ordered to be made, “Jesus the Nazorean, King of the Jews”, was customary and was held up by a Roman soldier in the front of the condemned man during the procession to the place of crucifixion. It displayed the name of the criminal and charge against him. 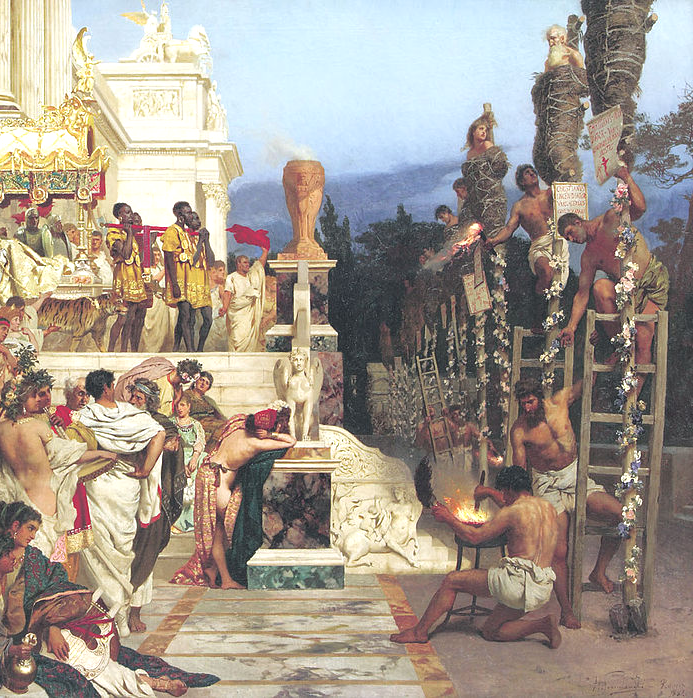 The wine with the gall (a “mild analgesic”), which was offered to Christ, was a requirement under Roman law. Fixing the feet to the cross could be done with either nails or ropes, the Shroud indicates that Jesus’ were nailed. His knees may have been bent since crosses did not always have a footrest. The language of the article and the accompanying illustrations are rather cold and come across like a coroner’s report. It is heartbreaking to read. The crime against the state for which he was executed was for being “The King of the Jews”. One of my former Hebrew instructors has argued that recent translators of the Bible are still too influenced by earlier translations, especially the King James Version, and this negatively affects the rendering in English of many important passages. And God made the firmament, and divided the waters which were under the firmament from the waters which were above the firmament; and it was so. 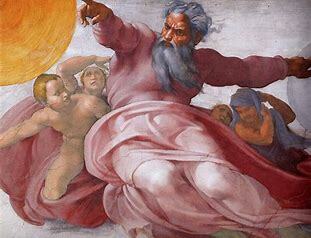 And God called the firmament Heaven (Gen. 1:7-8). “Mizrahi” [hard ‘h’] which in Hebrew means “Eastern”, describes the musical traditions brought by diaspora Jews returning to Palestine from places like Morocco, Iraq, Egypt or other Middle East/North African countries. Few of the new arrivals spoke Hebrew; it had been a dead language since before the time of Christ. It was revived in early 20th-century by a few pioneering families who would only speak to each other and their children in a modern form of classical Hebrew. Mizrahi music and the Hebrew language were a natural match and as the generations have passed has become very popular among young Israelis today. The interesting thing is that the music of the Mizrahi countries might reflect the music of the land of Israel at the time of Christ, which historians note would have been influenced by the traditional music of both Egypt (the captivity) and Assyria (the Babylonian Exile). In other words, not only have the Jews returned to Israel, but also has her ancient language and music. The first example below features the guitar-like oud, which was common in both Ancient Egypt and Assyria, flutes and winds were as well. The second example is a blend of Misrahi and Western rock. By reading the transliteration of the Hebrew text of Psalm 150, which is repeated several times, you will notice how its poetry lends itself to the music style. The Jews have their ancient homeland back, its language and music, and one day, soon I hope, they will also have their Messiah. Statue of Monfort. Basilica of St. Peter, Vatican. Satan is holding a copy of 'A Treatise on the True Devotion to the Blessed Virgin'. Was Jesus’ Temple Clearing on Behalf of Gentiles? Is Social Engineering the Salient Evil of Our Time? Is the Sign of Jonah Hanging Over Today’s Church? The Next Conclave: A Referendum on Reform? Is Paris No Longer Safe for Jews (or Christians)? Freeway mural next to the Cathedral of Our Lady of the Angels, Los Angeles.